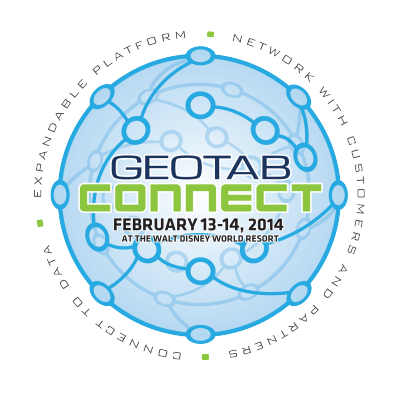 We at GPS to GO recently attended the Geotab Connect 2014 Conference, which Geotab put together for its resellers. Learn more about Geotab’s latest features. Discover new ways of adding value through the Geotab system to our clients. Learn about future developments that are making Geotab an even better product. Essentially, the conference gave Geotab resellers such as GPS to GO the opportunity to “connect” with Geotab’s senior leadership, development and software teams in a unique hands-on program. We learned about new solutions and features, and experienced hands-on learning of IOX and other hardware, as well as training for the Geotab Drive Hours of Service. Geotab did a great job hosting this event, and really made us feel like a valued reseller. They put a lot of thought and planning into this conference and it showed. We met one of our great clients from The Maids, Lisa Gilmore. It was really nice to be able to meet in person with this client who lives quite far from our home base in Ottawa. It really establishes that we are more than just a business selling a product; we are solution provider! Geotab staff presented a great seminar called Dashboards for Dummies, Tricks, Pitfalls and Best Practices for Reports. We learned about some great new features which we will definitely be incorporating into the solutions GPS to GO provides for our own clients. We had the chance to meet various interesting people from all over the world; all focused on the same main topic of “Telematics”. It was fascinating just to learn about how GPS fleet tracking is evolving as an industry across the world. It was amazing to attend all the presentations from the various companies and learn about the ever-growing collection of 3rd party apps for the Geotab software. Development for Geotab is growing and this makes it a better product to work with and offer to our customers. New apps that cater to different niche capabilities means that the platform as a whole is innovating and evolving to suit a variety of business needs. Some of the presentations that stood out were the Navistar,Dock-n-Lock, and Inovex both which presented great features that tie in nicely with the Geotab system. All in all, this conference was just further confirmation that Geotab is setting the wave of the future in telematics fleet tracking. If you’re looking to learn more about the Goetab fleet tracking system for your business, learn how to get rolling with GPS to GO. We’re even offering a $50 trial of our GPS tracking devices. No contract – cancel anytime – get the $50 credited upon purchase. That’s just how confident we are you’re going to love this product.